the preparations for our annual meeting are well advanced. with an "inaugural talk" by P.L. Lions. It will officially finish saturday, 17.4, at 12.30.
themselves ! Do it NOW please ! session that is dedicated to the presentations of our YRs. ARE STRONGLY ADVISED TO ATTEND. the request of a YR to go to Paris ! which will be also helpful for the next project(s). on all your papers relevant to the work programme. their "mobility pattern" - both very interesting. * 2.) midterm review ! your TO ! You can also bring them to Paris this time !! and put preprints on the HYKE server. 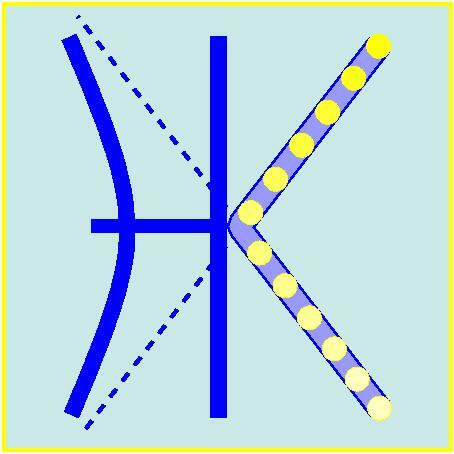 anchor project of the "hyperkinetic community" , with e.g. more training money for Predocs. in the April 2003 deadline, both "monosites". excellent scientific and training quality of these projects. Training (EST) and Transfer of Knowledge (TOK). you that the reason for it is even weirder than you think. positions, where a tacit limit of 50 % is common now.